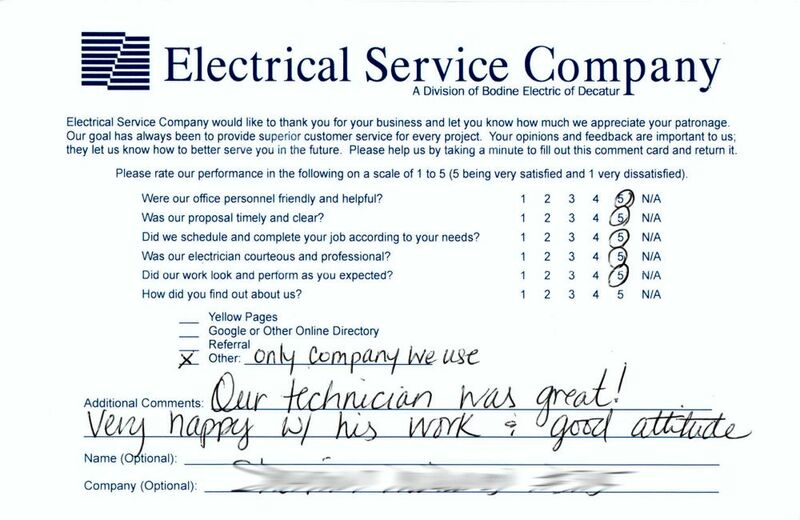 Our experienced and knowledgeable electricians are here to help when unexpected electrical failures occur. Our 24-hour emergency service ensures that we will be there when you need us. 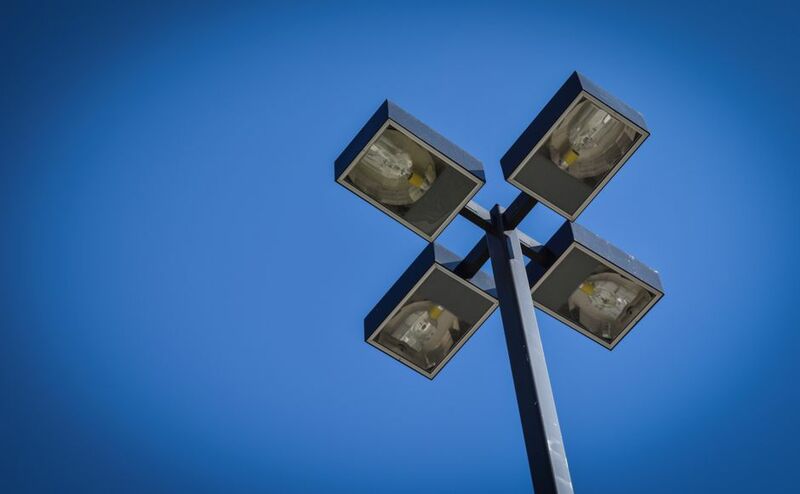 We also offer preventive maintenance to limit breakdowns by addressing potential threats before they become a problem. 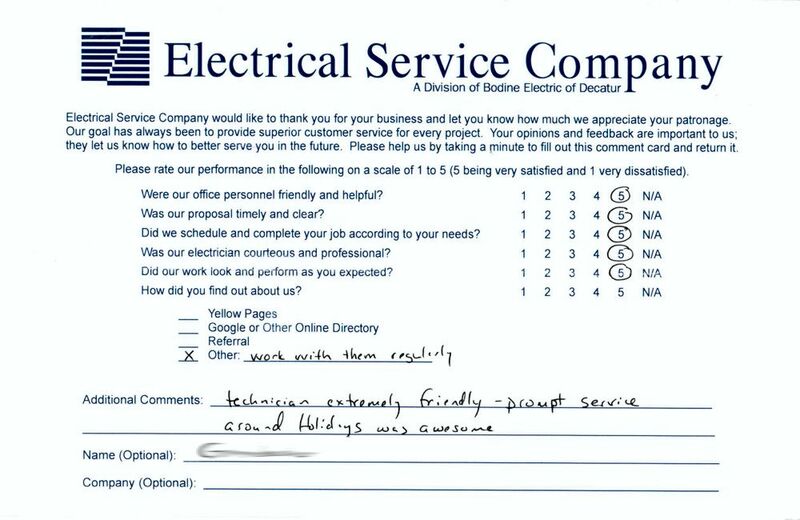 Count on Electrical Service Company to extend your equipment life, increase your operating efficiency and reduce your costs. 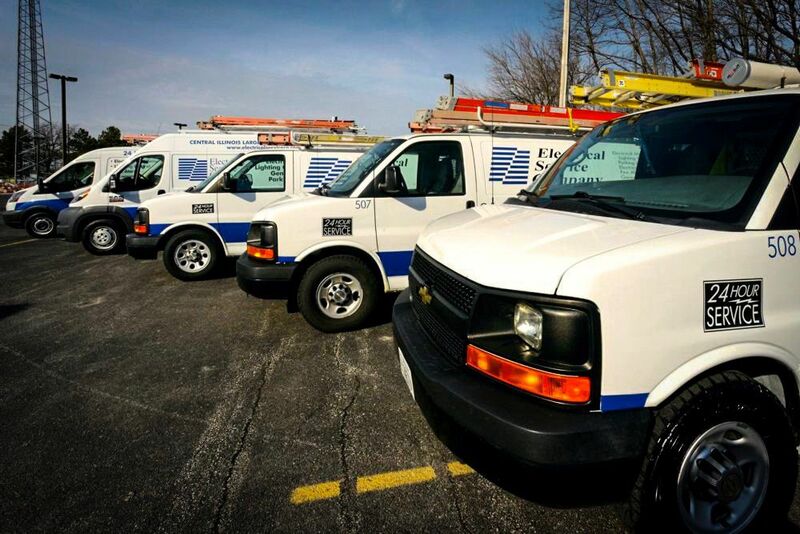 Electrical Service Company has been performing work in Central Illinois for more than 50 years — a history our customers can count on. 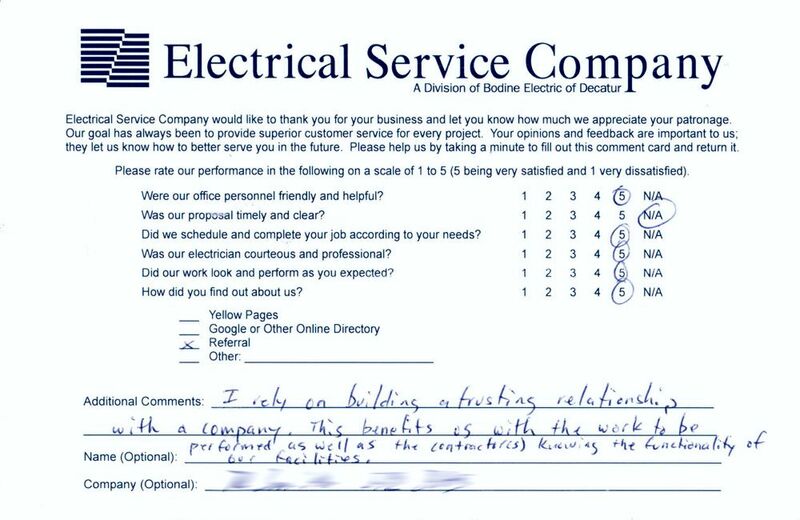 Please give us some details about your next project or your organization’s repair/maintenance needs, and someone at Electrical Service Company will get in touch with you as soon as possible. 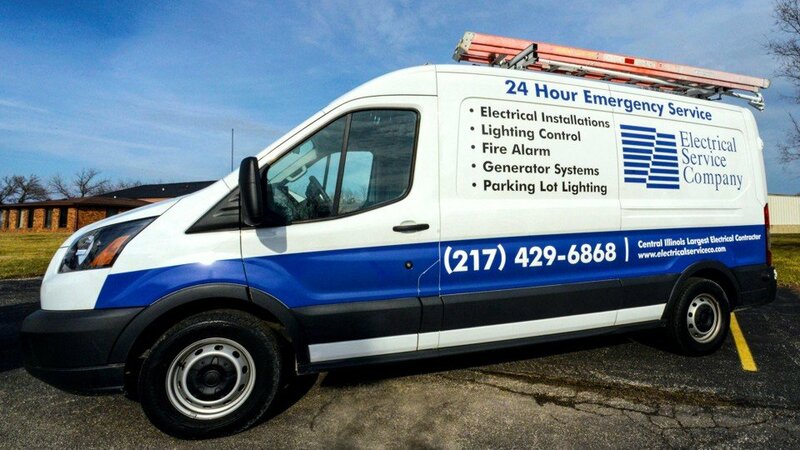 If you’re in need of immediate or 24-hour emergency service, call (217) 429-6868 or (800) 252-3369 for assistance.